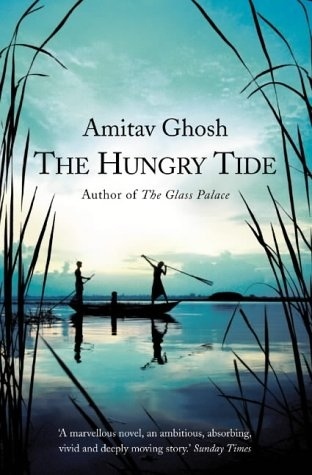 My advice would be, read “The Hungry Tide” by Amitav Ghosh. There is more to the book than I have enlisted above. The writing skill of the author, the story telling ability and also the ability to weave the different stories beautifully into one another, are some other highlights of the book. The book sketches a complete picture of the tide country in front of the readers. The different rivers, their names, the history behind naming them so, the mangroves, the islands, people on the islands, their daily confrontations with nature and animals – all presented in a beautiful way. The book has many protagonists. The centres of attraction though are Kanai and Piya. Kanai is a translator in Delhi. He knows quite a few languages with odd combinations. His uncle and aunt live in Lusibari (one of the islands in Tide country). He comes to visit Lusibari and meets Piya while traveling from Kolkata towards Lusibari. The womanizer (that he thinks he is) in him awakes and tries to get close to Piya. But their journey together ends very quickly, though with a promise to meet again. Kanai asks Piya to visit Lusibari. Piya is a scientist – Cetology (a branch of Marine Mammal Science that studies around 8 species of Whales.) She was to visit Tide Country for her research in potable water Dolphins. She comes to Lusibari and while coming only she gets introduced to Fokir. The book catches your attention and mind from the very beginning. And there isn’t a single page where you would be allowed to think that the story is becoming sluggish or losing its plot. Right from Page 1 to Page 402, you will be living, actually living, in the Tide Country. That’s my word.